Do You Wanna Build A Snow Lady? Do you wanna build a Snow Lady? 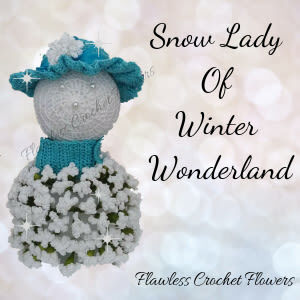 You are in the right place as we are heading down a magical journey as we create a fun-filled Snow Lady… and that’s without having a meltdown. It’s so easy, we’ll be done in just 7 days! And that’s giving you exra days if you need it. Which means, you can be done in less than a week. But that’s not all, you’ll also get 5 additional patterns… FREE. Join us on this journey Here. Don’t wait… you’ll miss the date!